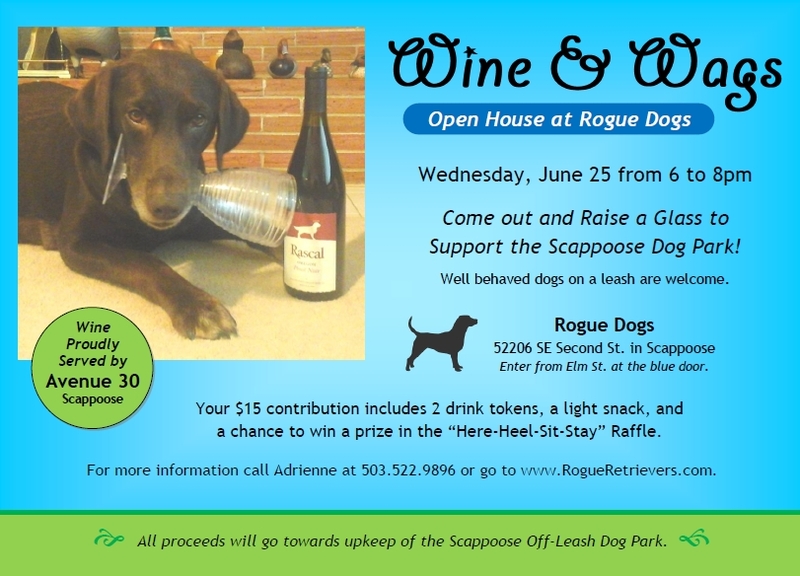 Come to Rogue Dogs June 25, 2014 for a fun dog community event to raise money for the Scappoose Dog Park! While you have a glass of wine served by Avenue 30 your dog can snack on cookies from Wiggle Butz. You can meet some of the local dog business owners: Just Dogs, Rogue Retrievers, Whiskey Creek Goldens, Marge’s Critter Care, and Doglandia will all be there! For more information please call 503 522 9896 or email adrienne@rogueretrievers.com.